You talk or type - it translates. 100% offline. No data fees. Need a translator? Check your pocket. Record (or type) a phrase in one language and the Lonely Planet Offline Translator will translate it aloud in the other. No internet connection required, so it works wherever you are with no data or roaming fees. 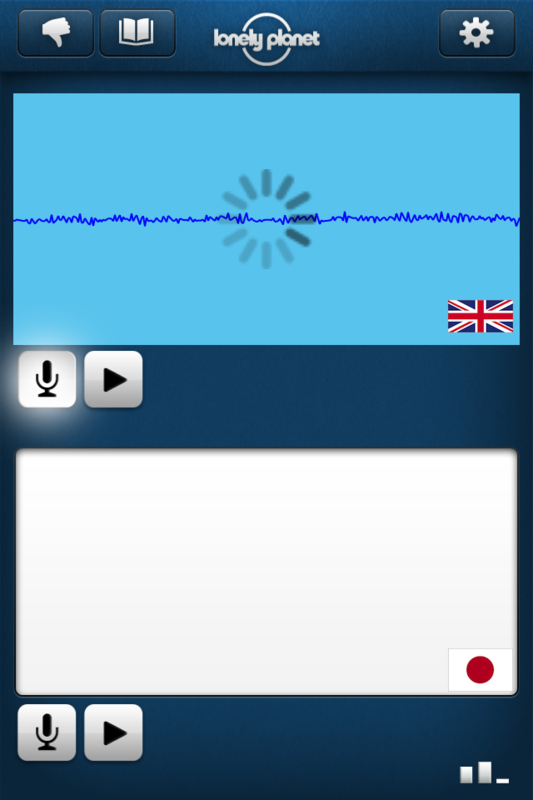 Simply type or speak a phrase and the app will instantly give you the audio and text translation. It is also bi-lingual, which means you can use it to translate from English to Japanese, or from Japanese to English. The perfect tool for communicating. # Talking slower and louder to a local not helping you? 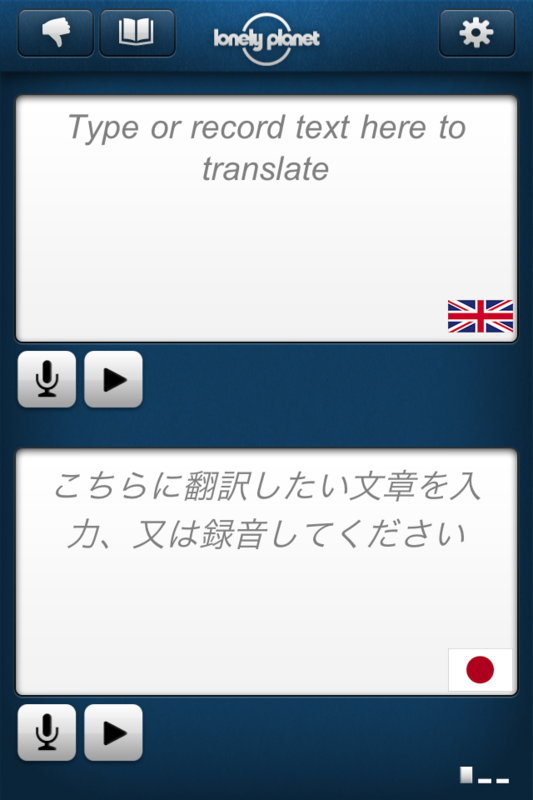 Simply speak to the app and let them read and listen to the Japanese translation. 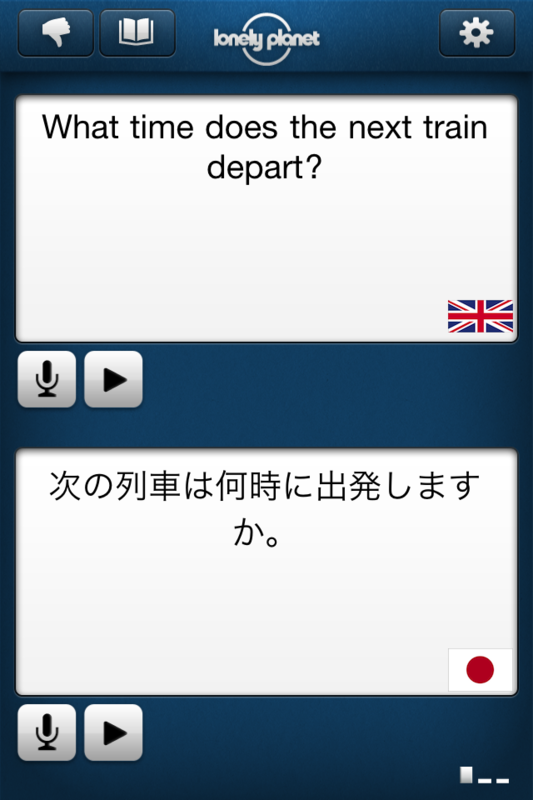 Vice-versa, they can speak Japanese and the app will translate it to English for you. # Translate everything from a sign, to a menu, to a paragraph of text. Simply type in the foreign language text and it will instantly be translated to English text and audio. # Search tens-of-thousands of words in Japanese and English. # 100% offline. No roaming or data charges. 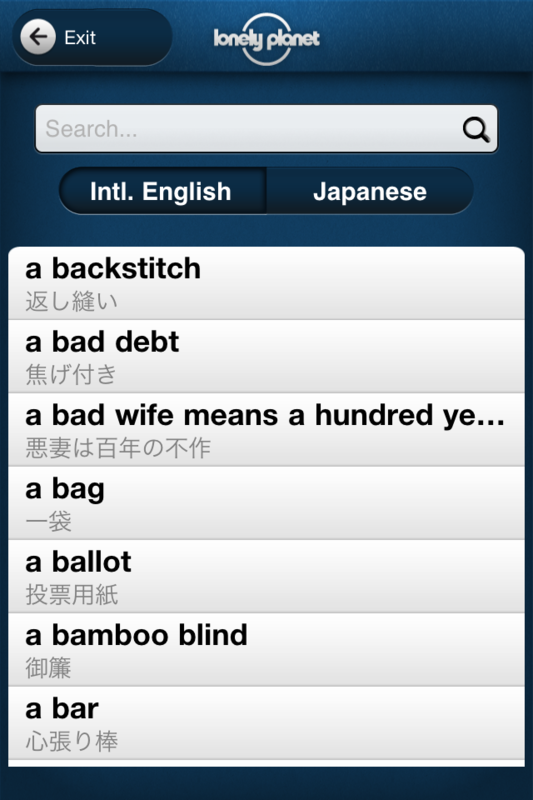 # Searchable, bilingual background dictionary. Also check out the Lonely Planet City Guide app for Tokyo.